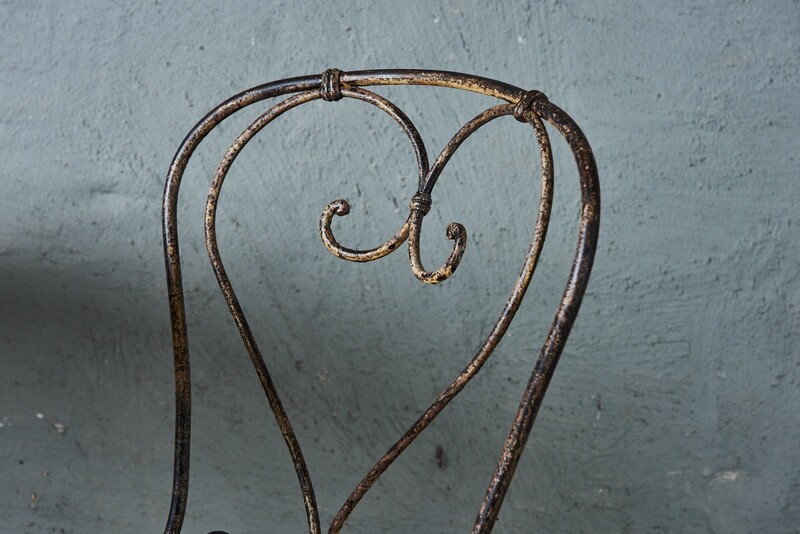 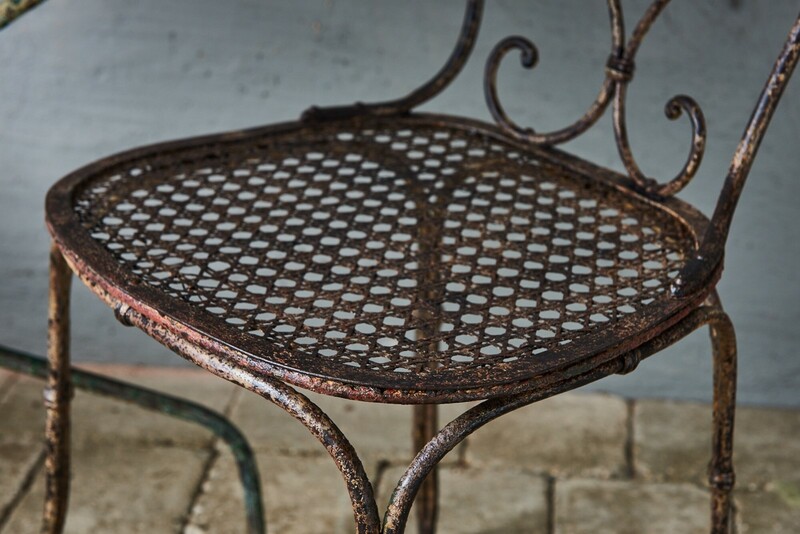 A classic French bistro set of unusual quality. 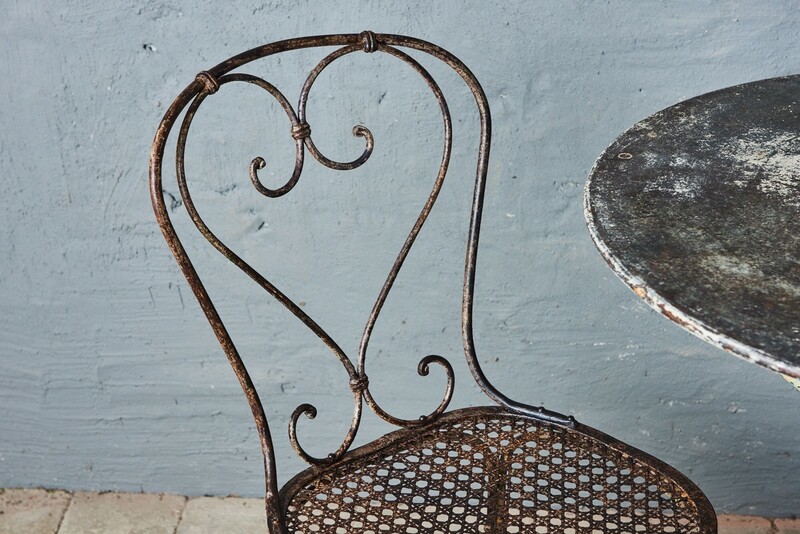 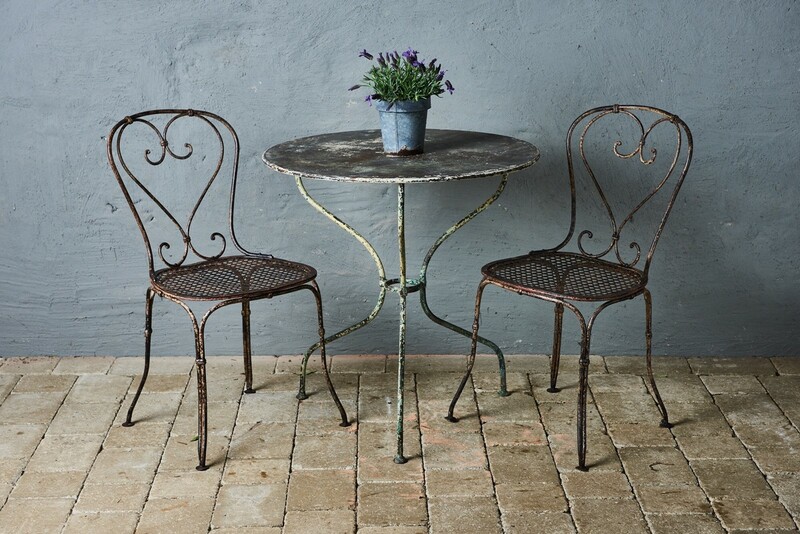 Recreate that French bistro feel every day with this lovely vintage garden table and chairs set. 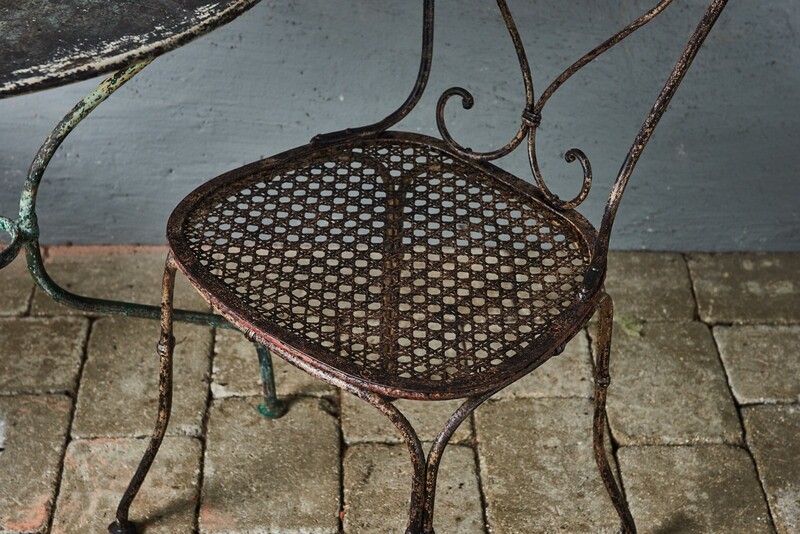 The two mesh chairs are original condition, and look so elegant surrounding the bistro table. 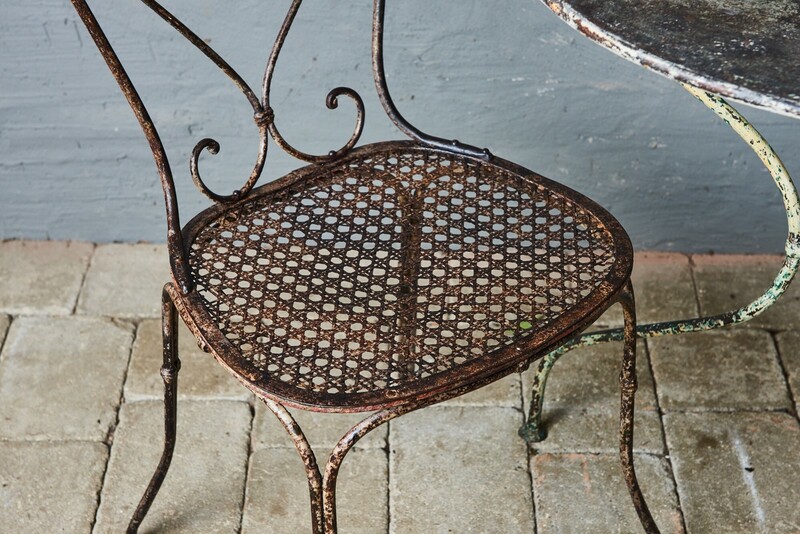 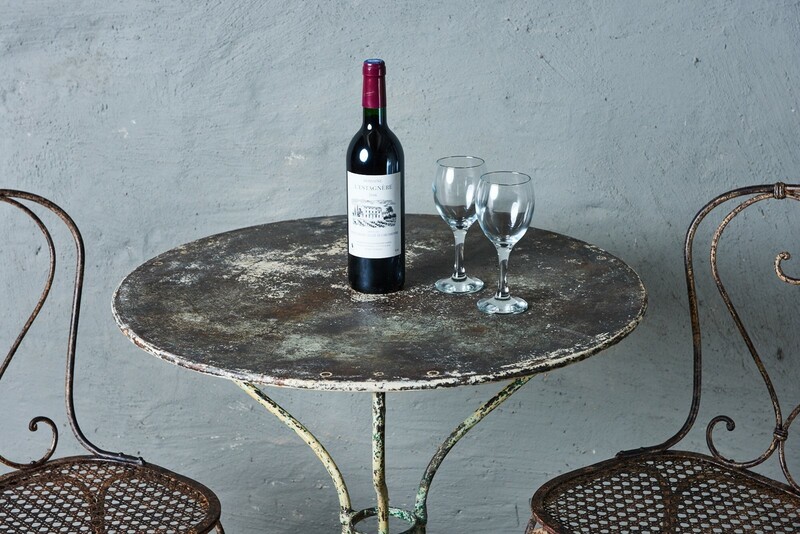 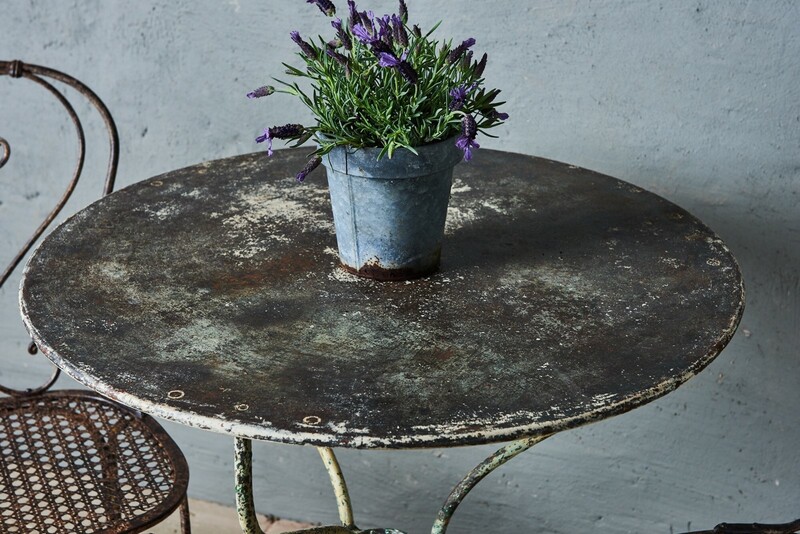 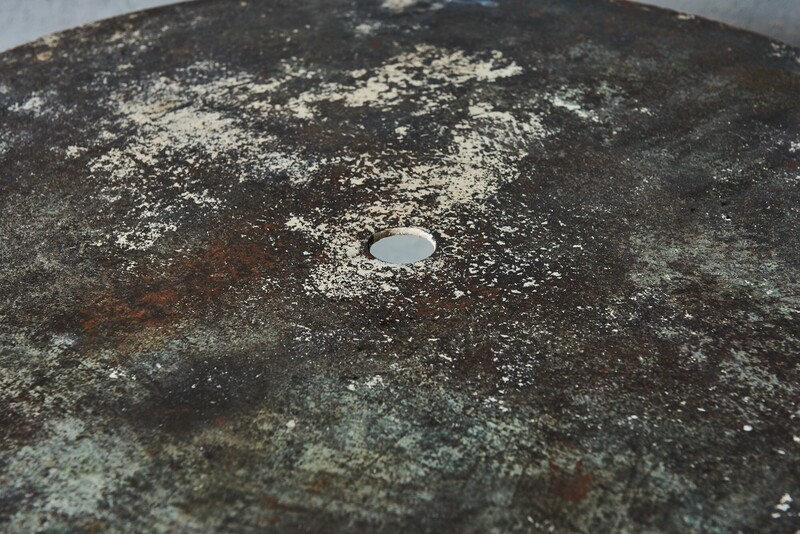 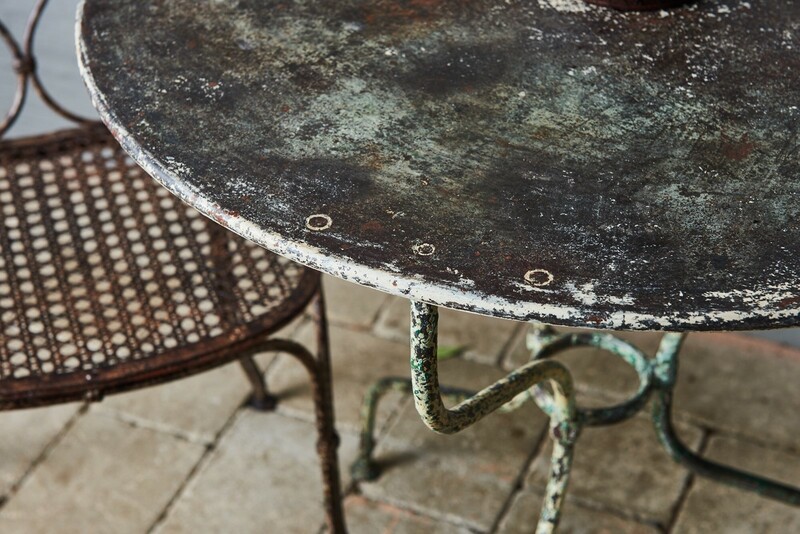 This circular table has an attractive metal top on a strong, wrought iron base.